What’s a better way to start a cold winter morning than a hot cup of cocoa to warm you up? 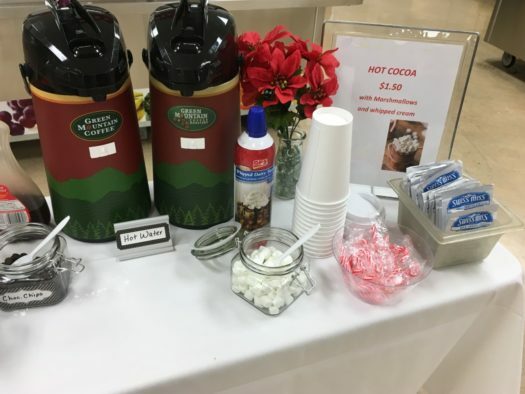 Hot chocolate is now offered before school next to the waffle bar. The cocoa is $1.50 a cup and you can add to it with whipped cream, marshmallows and candy canes. The new addition to the breakfast offered here is sure to put a choco-lot of smiles on people’s faces.